With the H-1B season quickly coming to a close, we are happy to announce that 83% of our clients were selected in this year’s master’s cap, while 56.67% of our clients were selected in the “general cap.” These estimates are above the national average. Of the petitions that were selected, the majority were filed with the California Service Center. Selections in this year’s lottery were made up until the very last minute. This fiscal year, USCIS received a total of 199,000 petitions, less than usual, and the computer-generated lottery was conducted on April 11, 2017 a bit later than usual given that the filing period opened on April 3, 2017. As in previous years, USCIS first began the selection process for the advanced degree exemption or “master’s cap,” and then proceeded with the selection process for the “general cap” to fill the 85,000-visa cap. During FY 2017, USCIS received over 236,000 petitions during the filing period which opened on April 1, 2016, and the computer-generated lottery was conducted on April 9, 2016. USCIS has now completed data entry for all cap-subject petitions selected during fiscal year 2018. 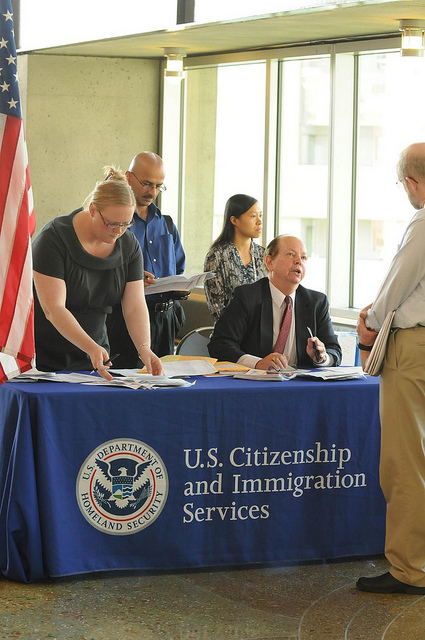 This means that USCIS will now begin the process of returning all H-1B cap-subject petitions that were not selected in this year’s lottery, along with their filing fees. While USCIS has indicated that they cannot provide a definite time frame as to when these unselected petitions will be returned, in previous years unselected petitions have traditionally been returned during mid-June to the end of June. If you have not received a receipt notice in the mail notifying you of your selection, and your checks were not cashed by the Department of Homeland Security, between April 1st and May 3rd., unfortunately it is not likely that you were selected in this year’s lottery. For safe measure, applicants may wish to wait about a week or so to see if any late notices are received. If you were selected in this year’s lottery congratulations! Please be patient in the coming months to receive your approval or request for evidence. If you receive a request for evidence, don’t panic you will be given enough time to respond with the necessary documentation. Please note that if your H-1B petition was filed with the Vermont Service Center, you may receive a notification that your petition was transferred to the California Service Center for efficient processing. If you receive a transfer notice, you must send all future correspondence to the appropriate service center that is processing your petition. As a reminder, premium processing remains suspended for all H-1B petitions and will remain suspended until September 3, 2017. Please do not file Form I-907 to request premium processing until USCIS has announced that premium processing services have been reinstated. If you were not selected in this year’s lottery, do not lose hope. Contact our office today to discuss other visa options that may be right for you.